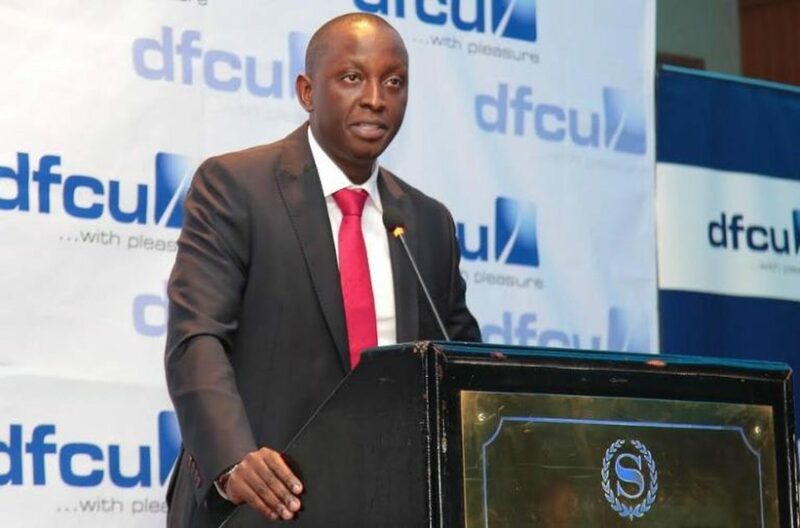 KAMPALA – William Sekabembe, the number two in the hiearachy of the dfcu Bank has quit his position, industry sources have intimated to this website. Mr Sekabembe has been the Chief of Business & Executive Director – a job he took over in October 2016 but has resigned and is headed to rival KCB bank, where he will get a top position. “William Sekabembe should be going to KCB Bank, Uganda for a Managing Director role that has been advertised for some time. He was competing with Bernard Magulu, the Executive Director of Bank of Africa for the final slot,” said a top industry source. We tried to reach William Sekabembe on his known mobile phone number, but it was not available by press time. According to other industry sources, Sekabembe was supposed to take over from Juma Kisaame early 2017, but Kisaame whose contract was due to expire then, was given more time, to manage the Crane Bank-dfcu merger, after which Sekabembe would then fully assume the top job. It is now not clear if Mr Kisaame will be given another extension or if the job will be advertised. However the dfcu Bank top executive is under pressure for his role in the takeover of Crane Bank after directors accused him of not carrying out enough due diligence. Mr Sekabembe’s exit is the latest curious top exit at the dfc bank. The last few weeks have seen CDC Group Plc, the bank’s second majority shareholder seek to sell their shares. Shortly after the CDC announcement, Deepak Malik, the CEO of Arise B.V; dfcu’s majority shareholder also resigned from the board without giving reasons. Although dfcu Board officials, led by Elly Karuhanga and Jimmy Mugerwa, the dfcu Limited and dfcu Bank chairmen, respectively have downplayed the changes as normal, industry experts say, the fall out in the aftermath of the takeover of Crane Bank has put the institution in disarray. A holder of an MA. Economic Policy and Planning (2002-2004) from Makerere University, Mr Sekabembe, started his banking career at Standard Chartered Bank in 1999 as a Personal Banker and in July 2001 he crossed over to Barclays Bank as a Prestige Banker. For 9 years at Barclays he rose through the ranks, becoming Head SME Banking in October 2008 and then was promoted to Head of Branch Distribution in December 2009. In May 2010, he moved to Stanbic Bank as Head of Products and after one year and seven months, moved to dfcu Bank as Head Consumer Banking in May 2012. He then became, the Head, Corporate Banking before being promoted to Chief of Business & Executive Director in October 2016. According to our sources, Sekabembe will be replaced by Andrew Kabeera, the current Chief Operating Officer, a role created to allow him understudy Sekabembe. Kabeera joined dfcu in May 2018 from Standard Chartered Bank Uganda, where he worked as Head Corporate and Institutional Banking and Commercial Banking Operations.